It began in Nice in March 1993 … the first ever trade show exclusively dedicated to tissue. There were 700 attendees and 49 exhibitors. Now, attendance at TW Milan 2017 reached almost 4,000, with participants coming from 91 countries and 220 exhibiting companies. In Nice, conference preprints were given to delegates. Now, Tissue World TV broadcasts from the show floor with live interviews posted on YouTube and distributed online through all marketing and social media channels. TW’s website has 50,170 unique users making 264,890 page views. Après-show has always been important to TW … it helps to iron out the fine details. In Nice, cocktails celebrated deals done at the Hotel Negresco on the Promenade des Anglais. In Milan, a relaxation zone offered yoga and massage sessions, and guests at the gala dinner luxuriated in the splendid Villa Necchi Campiglio where they were entertained by opera singers from La Scala. 2002 saw Tissue World Americas launched in Miami. 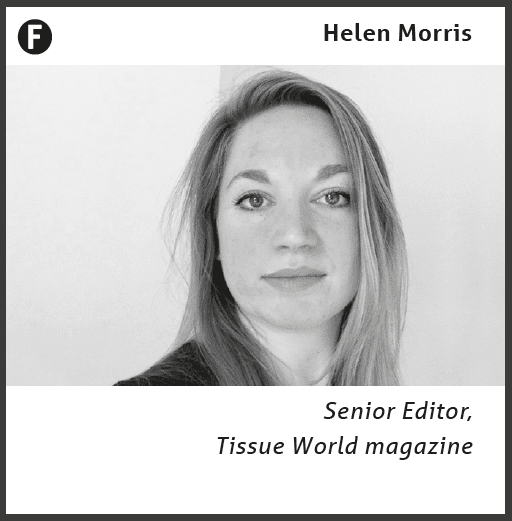 Tissue World also launched the first global independent magazine in the industry, TWM, with comprehensive news and analysis and four, now six, Country Reports which crucially promote growing links between company leaders across the world and the shows themselves. There are now 3,500 magazine subscribers, and online 200,747 impressions annually. Now, too, our “Focus Reports” magazines offer detailed regional trading analyses of Western Europe and North America. Mexico is a classic story of big untapped tissue potential. The second largest economy in Latin America, and yet growing slower than other large Latin American countries for more than a decade and continuing to grow at a modest pace. Yet there are surprising statistics about this net tissue exporter. It has free trade agreements with 50 countries, although trade with NAFTA neighbours Canada and the US represents the bulk of external tissue flows. The average technical age of a tissue mill in Mexico is 21 years compared to the US at 31 years and Canada at 33 years. Its mills are slightly smaller but newer. Mill production averages about 83,000mty, ahead of Canada, but behind the US at almost 102,000mty. Mexico outpaced NAFTA’s total capacity growth up to 2017 by about 22%, stalling a little only in the last couple of years. To take the usual drivers of tissue consumption growth – rising population, increased spending power, new products, niche range targeting – the last two will be vital as competition is fierce. Inside, Absormex CMPC’s general manager Humberto Narro Flores says Mexico has what it takes to be the South American tissue giant, poised to benefit from steady population growth, improved productivity and infrastructure, and a slowly growing economy. Share the post "Tissue World – 25 years bringing the world’s tissue businesses together"